For better or worse, museums are changing from forbidding bastions of rare art into audience-friendly institutions that often specialize in “blockbuster” exhibitions designed to draw crowds. 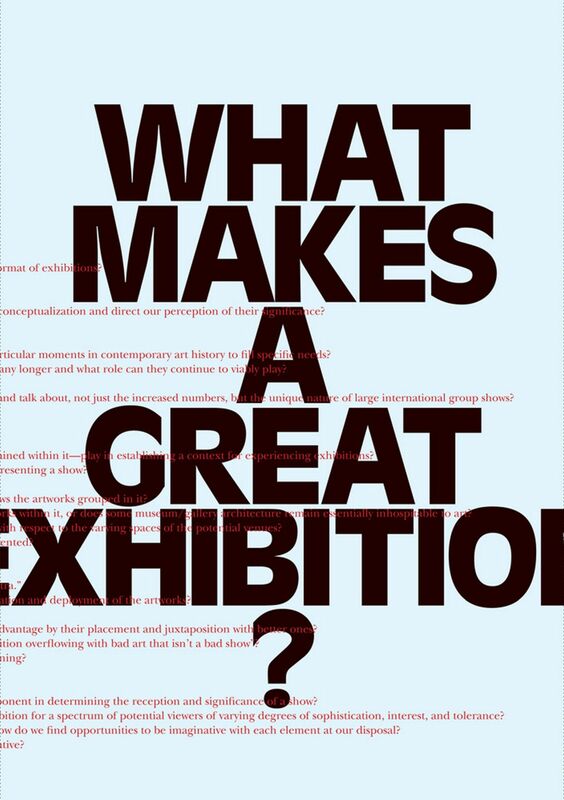 But in the midst of this sea change, one largely unanswered question stands out: “What makes a great exhibition?” Some of the world’s leading curators and art historians try to answer this question here, as they examine the elements of a museum exhibition from every angle. "With the proliferation of degree courses now churning out graduates in the subject, this will provide informative reading both to those starting their curating careers and those already established in the field." "A unique compiliation of essays by well-known curators and active participants within this field, it is less an anthology and more an exhibition itself. . . . Despite the authoritative stance from which these essays stem, together they refreshingly bring the discussion back to the true centre of their work: the artwork itself. . . . By bridging the gap between question and answer, What Makes a Great Exhibition? liberates exhibitions to a position of question-catalyst."